San Francisco’s largest technology employer Salesforce is the best places to work in 2015 with perks ranging from free Yoga classes to doggy day-care. Salesforce Customer Relationship Management software is a hot product in the technology industry as new customers are signing contracts daily. Thus, organizations are in need of increased number of salesforce developers, salesforce administrators and salesforce consultants. Salesforce CRM has matured over time and businesses are looking for experienced salesforce professionals who have in-depth knowledge of the salesforce platform and practical working experience. Learning Salesforce is not difficult but it may take time. Explore about the various lucrative salesforce careers in this article to find your Salesforce dream job. 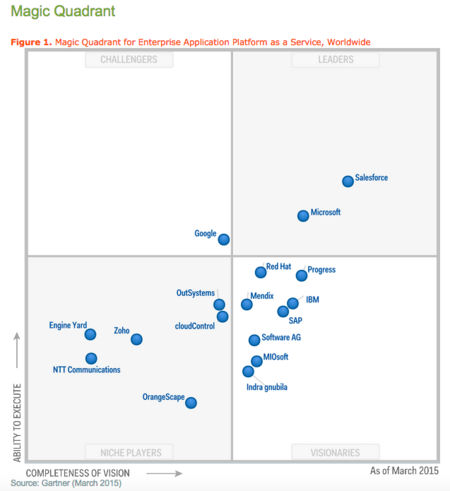 Gartner reports recognize, Salesforce CRM as the leader in Enterprise Application Platform as a Service (PaaS) as of March 2015. With approximately 200,000 customer companies using salesforce1 platform and close to 2000 companies built on top of the salesforce1 platform- there is an emerging boom for Salesforce careers in the enterprise application sector. Companies are hiring competent salesforce developers, salesforce administrators and architects to implement innovative business solutions and maximize their investment in salesforce. The demand for salesforce careers is on the rise with salesforce.com hitting huge sales record every quarter. Consultants with integration skills of a salesforce developer and salesforce administrator will be the need of the hour in salesforce as enterprises connect salesforce with other legacy solutions and cloud applications. Thus, to make themselves marketable and pursue salesforce careers, consultants must receive salesforce certifications to stand out among other potential employees. Global Business Consulting firm Bluewolf conforms that the demand for salesforce Administrators and salesforce developers will increase by 25 percent five years down the lane. Users rate salesforce 85% higher in terms of overall CRM functionality that is above the industry average of 75%. Salesforce CRM has 80% better scalability than any other CRM vendor outside the leader category in Gartner’s quadrant and 23% better scalability than vendors present in the leader’s category. 84% of salesforce customers say they would recommend this CRM to their peers. If you are a business entrepreneur, you might be aware of the fact that training professionals in Salesforce requires lot of investment. To increase the ROI of your business, salesforce professionals must be aware of all the latest methodologies and technologies that will help you enhance production. For maximizing the returns, enterprise must hire certified Salesforce Administrators and Developers. The right CRM software like salesforce with certified professionals can help you boost your business sales, inquiries and revenues. Sky is the limit when we talk about Salesforce Customer Relationship Management software. 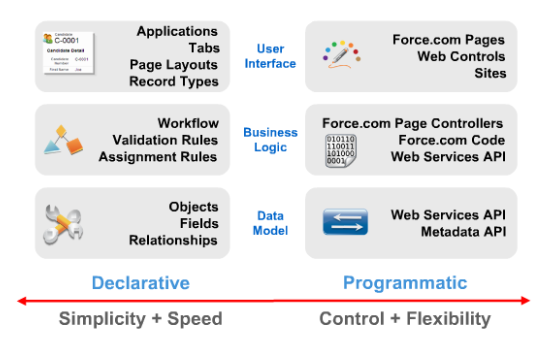 You will not find a single field that a Salesforce Administrator cannot add or any single piece of code that a Salesforce Developer cannot execute. The IT market is in dearth of Salesforce Administrators and Salesforce Developers. Consultants looking for high paying salesforce jobs must dig deep into various aspects such as -the roles and responsibilities of a salesforce administrator and developer, undergo salesforce admin training, undergo salesforce developer training, and receive various salesforce certifications. Salesforce Administrator in broader terms can be defined as a person responsible for managing and administering the configuration side of salesforce. He/She is the one who performs various declarative changes and manages the new releases into production environment. A Salesforce Administrator is a professional responsible for running the already existing Salesforce instances smoothly. This means that a Salesforce Administrator need not have a good grasp of integrations and various other downstream consequences because he does not configure any new functionality. The job of a Salesforce Administrator for a small IT enterprise need not be a full time opportunity. In the early stages of Salesforce CRM implementation the administrator will have to devote near about half a day (50% time of full time position) but once the application is live, managing daily activities of Salesforce CRM hardly requires about 10-25% of the full time opportunity. Salesforce Administrator will be responsible for adding new users, check system permissions on users to restrict or provide data access, and modify existing accounts. It is the responsibility of the Salesforce Administrator to remove any kind of duplicate contacts or account by mass updating them or merging them. Salesforce Administrator is responsible for customizing and developing the setup menu by modifying the page layouts, pick list values and creation of assignment rules. 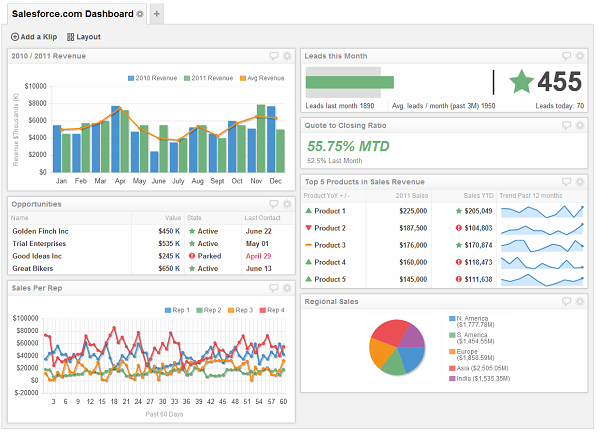 Salesforce Administrator will create reports from the data stored in the Salesforce CRM and produce information asset that will help boost the business revenue. He/she should provide ongoing documentation to his colleagues and customers by updating the existing documentation so that the customers and colleagues are on track with the novel Salesforce enhancements and releases. Salesforce Administrator must have a solid understanding of the organizational structure and the various business processes involved in it so that he can maintain strong relationships with key groups. Out of the ordinary project management skills and analytical skills are a must to take action against the requested changes and classify customizations. Good presentation skills, motivational skills and communication skills are a surplus to the career of a Salesforce administrator. It is at all times a smart decision to hire trained and certified Salesforce professionals. A certified Salesforce administrator will stand for rapid implementation and make the best out of Salesforce. If you plan to build your career as a Salesforce administrator then ADM 201 salesforce certification is a must to respond to various business requirements and perform administrative tasks with the latest version of the Salesforce. Salesforce Administrator 201 certification trains an individual on how to customize tabs, fields, page layouts and various other business processes, how to setup workflow automation, how to create high value reports and dashboards, how to import and maintain clean data, how to create a safe and secure Salesforce environment. Trained and Certified Salesforce administrators provides the enterprises an assurance that the professional has in-depth knowledge and is confident enough to take the best out of Salesforce. 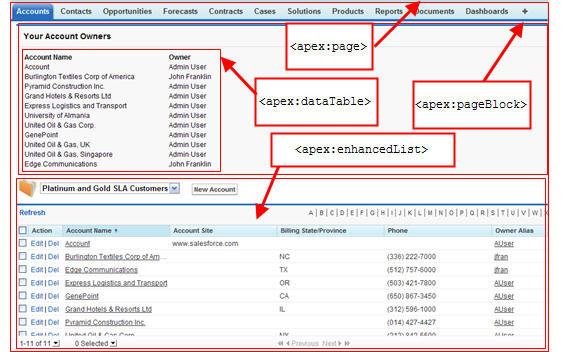 A Salesforce Developer is responsible for building functionalities in a sandbox with Visualforce or Apex before it is given to the Salesforce Administrator for scheduling deployment. Salesforce developers are responsible for building functionality by creating Salesforce triggers and creating Visualforce pages based on the requirements of the customer. Salesforce developers contribute towards building customized applications by making the best use of point-and-click capabilities of the Salesforce platform. Salesforce Customer Relationship Management Software has large number of application programming interfaces and a Salesforce developer is responsible for controlling the implausible adaptability of these API’s for integration of information and processes so the all the systems within the CRM can communicate efficiently. A Salesforce developer is responsible for designing new Salesforce solutions and come up with effective project execution plans. It is the responsibility of the Salesforce developer to add value to the project in all phases – definition, development, and deployment. A Salesforce developer should be an individual who is curious about technology. He /She should be a go-getter willing to Google around and look for threads related to a problem and find a solution for it. A Salesforce developer who can quickly grasp and adept to the organizations culture is a boon because culture and positive habits contribute to a successful Salesforce implementation. For an organization to build a customer relationship management software patience, time and incredible vision are the 3 primary requirements. A Salesforce developer must be a premeditated long term thinker and a strong CRM believer. An individual who aspires to be a successful Salesforce developer must undergo intensive training by Salesforce experts so that they can get a grasp on how to build custom applications that will change the manner in which an enterprise connects with their customers and employees. Apart from extensive training, Salesforce Developer Certification DEV 401 is mandate to exhibit the knowledge, abilities, and skills for developing custom applications and analytics by exploiting the declarative capabilities. It is difficult to find professional Salesforce developers when compared to Salesforce administrators because it is difficult to learn coding than learning the declarative configurations options with Salesforce. Thus, some of the Salesforce Developers tend to manage the administrator resources and some cannot. 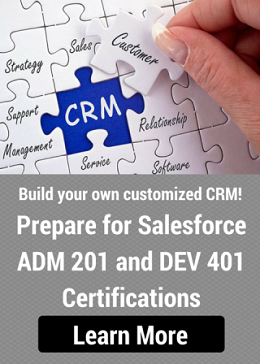 Salesforce Developers undertake both ADM 201 and DEV 401 salesforce certifications to qualify for the role of both Salesforce Developer and Salesforce Administrator. These salesforce certifications can be taken online if an individual wants to master his or her career in Salesforce configuration using code and in declarative configuration. With increasing demand for Salesforce jobs, professionals who have expertise with both configuration methods are more worthy to an organization. The lines between a Salesforce Administrator and a Salesforce Developer are becoming fuzzy day by day. A salesforce professional is made to take both the ADM and the DEV certifications – no matter if he joins as a salesforce administrator or a salesforce developer. 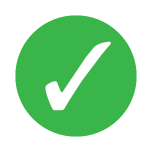 It is mandatory that he/she does both the salesforce certifications. Become a Certified Salesforce Developer!